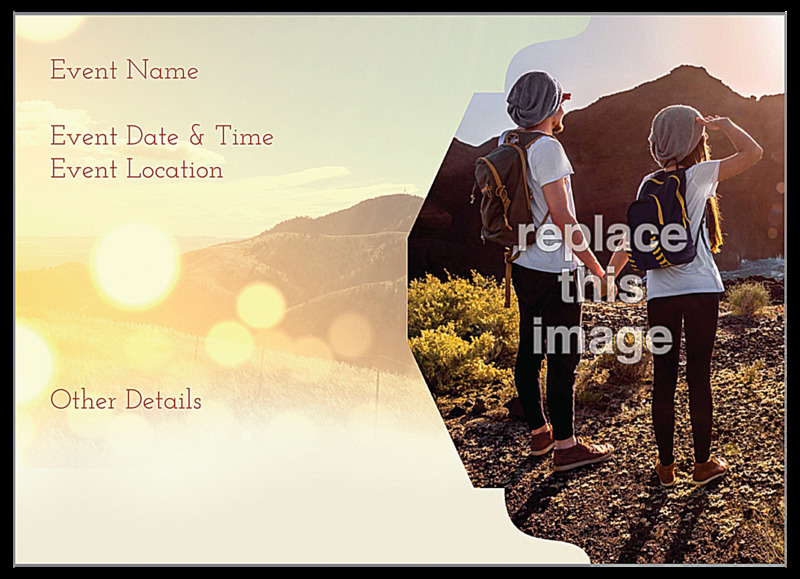 Put your event on the map when you create custom invitation cards with our Mountains invitation card design template. Available in three color schemes, Mountains is ideal for outdoor and adventure themed businesses, parties, events, and competitions. On the front, our Mountain template features a large headline badge over a shimmering mountain backdrop. You can add your event details at the bottom, separated by a central line icon. 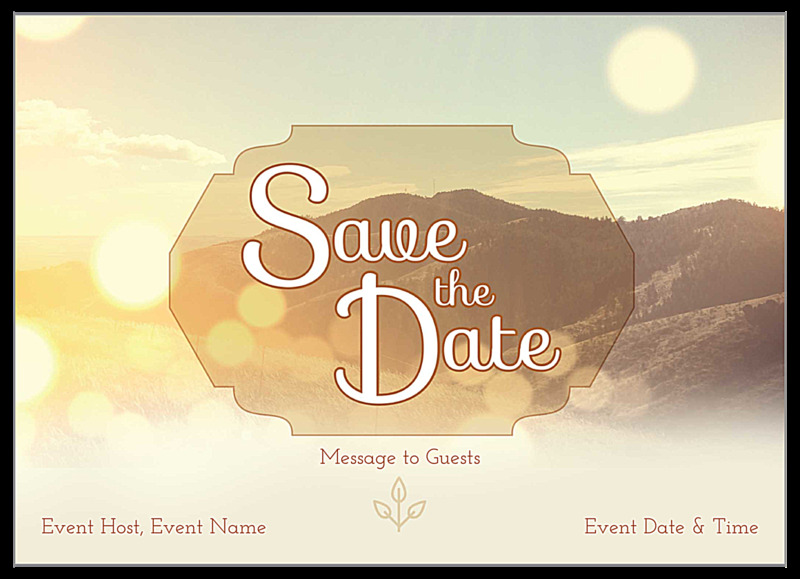 On the back, your event details are displayed over the same background adjacent to your own custom image for extra personalization. Make Mountain yours when you create custom invitation cards online today! Our online invitation card maker lets you create your personalized invitation card design fast and easy. Just pick an invitation card design template from our online library. Next, pick your color scheme and add your personalized text and graphic elements. Adjust your font and layout until you get the perfect look for your event. It’s so simple! When you’re done creating, you can download a free PDF to share with team members and get their feedback before printing your custom invitation cards. PsPrint uses only superior paper stocks and rich, vivid, soy-based inks that bring your design and event to life. High-quality printing at discount prices makes PsPrint the ideal printing partner. And don’t forget: our 100% customer satisfaction guarantee ensures that you’re completely happy with your custom invitation cards! Looking for something truly unique? Our custom printing team are available to assist you with whatever you have in mind for your custom invitation card project. We also carry additional invitation card templates, including fundraiser, celebration, thank you, and many, many more!